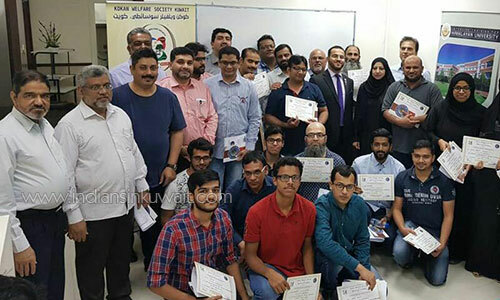 Kokan Welfare Society (KWS) in its endeavor to provide quality programs for benefit of the community, organized a “Professional CV Writing and Passing Interviews Successfully Workshop” in partnership with Universal Institute, Salmiya on July 28, 2018. The event started with KWS President, Mr. Salim Desai welcoming all participants and explaining the purpose of this event. 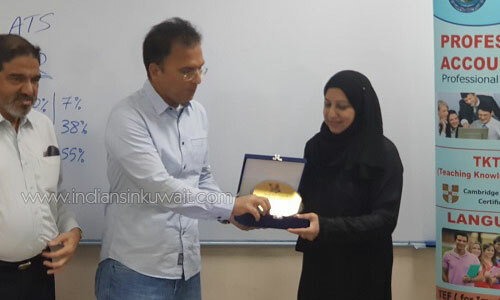 Ms. Fareeha, Managing Director of Universal Institute also welcomed all and gave a brief about the institute, the courses they conduct and facilities available. The event was a grand success as the class was fully packed and attended by men and women from different professions and fields. Participants gained insight of professional CV writing and Communication techniques. 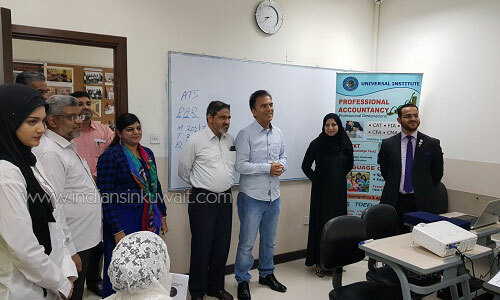 The trainer Mr. Mohammed Sami provided a mesmerizing interactive session and was very much appreciated by all participants for his professional explanations and witty answers. 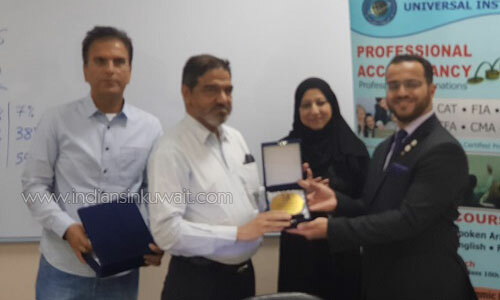 Momentos were presented to Mr. Sami and Universal Institute by Dr. AbdulRazak Rumane (Founder and Ex Officio President – KWS). Participation Certificates were given to all participants and as a follow-up of the event, all were requested to email their updated CVs using the knowledge they got from the workshop for the instructor to check, out of which the best CV will receive a prize from KWS. KWS thanked Universal Institute for fully sponsoring the event, its EC members involved and specially Ms. Farzeen Rumane who had been very instrumental in the success of the event.